Discussion in 'Other Sports Discussion' started by John3:16, Oct 31, 2014. Our one "on his way to Cooperstown" stud who had a horrible World Series. Scary thing is, you could multiply Madison's ERA by 10 and he'd still be in the discussion. 4 starts, 4 wins. 36 innings pitched. 1 run given up. 5 inning save in a game 7 after pitching a complete game shutout 3 days prior. Lots of discussion about "dynasty". I don't think they are.... yet. But this is a good start. The crazy thing to me is, Lincecum was the main reason we won in 2010. Cain won every series clincher in 2012. This year it was all Bumgarner. A different closer for every team too. Lastly, the hitters -- Pablo barely played on the 2010 team in the playoffs. He was MVP in 2012 and broke the record for most hits in a WS this year. Needless to say, Pablo is gonna break the bank this year. No idea who it'll be, but I hope he stays. Reading this is like reading about the C Bags winning another title. sirronstuff, pound4pound and therealdeal like this. sirronstuff and TIME like this. 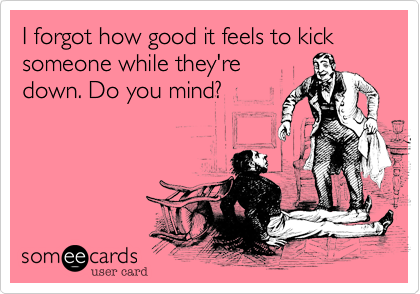 Oh, that hurts so good. It's been 2 days since the Giants won the World Series. We've got a long way to go to catch the 9,526 days since the Dodgers won it. Don't follow baseball much but I assume Wiley Wiggins is still on the team? ^ he is. Only pitched 1 2/3 innings. Threw a no-no during the regular season, but was very inconsistent. Best days are behind him. Signed for next year. Hope he's competitive. Clayton Kershaw or Madison Bumgarner? Is that the greatest multiple-choice quiz question ever, or what? It's a question that my favorite partners in triviality, Mike and Mike, asked me recently, as the World Series dust was settling. And I have to admit my first words were: "That's not fair." But then I started thinking. Not only was it a fair question, it was an awesome question. It's the kind of question that makes talking sports, and caring about sports, well worth the otherwise insane amount of time and energy we devote to it. We could get like 2,000 consecutive quality hours of sports-talk-radio programming out of a question like that. But I decided to do even better. I fired that question at 16 baseball executives and scouts. And why not? The heck with how we would answer a question like that. How would they answer it? So these were the rules: They could pick only one ace to build their rotation around for the next five years. And they couldn't use dollars in their deliberations. This was a pure baseball decision. Cy Young (at age 26) or Mr. October (at age 25)? Which ace would they take if they could take only one? It's so easy to get caught up in the moment after any player does what Bumgarner did this October. You watch a man take the entire Giants team, hitch it to his back bumper and almost single-handedly lug it into a sea of ticker tape, and your instinct is to say: "I'll take that." 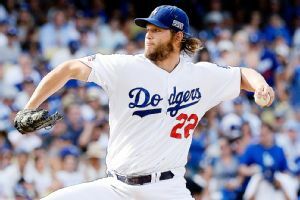 Richard Mackson/USA TODAY SportsClayton Kershaw is expected to win his third NL Cy Young Award, and could also claim the NL MVP Award. • "I know Bumgarner is the flavor of the month," said an AL executive. "But over the long haul, you've got to go with Kershaw." • "As easy as it is to love Madison Bumgarner -- which is really easy -- and as easy as it is to get caught up in the tidal wave of 'best postseason performers of all time' labels -- which is legit -- I would have to take Kershaw," said an AL GM. "Bumgarner is a true ace, top-of-the-rotation starter who has been a rock star in the postseason. Clayton Kershaw has simply been the best starter of his generation, and there's no reason to expect that will change in the near future." • "For the body of his work and the consistency of his work, I think Kershaw is the best," said an NL scout. "The body of Kershaw's work outweighs the greatness of Bumgarner in October, even though all of us would love to have both of them." • "I look at performance and results," said an NL exec. "And it's Kershaw, because he's done over the last four years what Bumgarner just did over the last four weeks. It's big sample versus little sample. It's a no-brainer." The question was which guy you'd take over the next five seasons, not the past five. So the Bumgarner supporters in this field -- well, both of them -- had plenty of ammunition. But their reasoning couldn't have been more different. One AL exec admitted he'd changed his mind based almost entirely on what Bumgarner did in October and, especially, in the World Series. "Bumgarner showed me a combination of stuff, command, competitiveness, feel and durability that isn't often equaled," the exec said. "He also showed the ability to make an adjustment from a high-percentage fastball guy in his first outing [of that World Series] to a guy who mixed pitches and got ahead and then expertly expanded the zone in his next two outings. Just unbeatable on multiple nights, on the biggest stage. So it would be hard to go with anyone but him." But the other Bumgarner voter was an NL executive with a totally different take. Which of these two men is most likely to hold up over the next five years and beyond, when you consider every possible factor? Easy answer, he said: Madison Bumgarner. Why? Because Kershaw's delivery is so max-effort, for one thing. Because he's a starter who's pitching every inning as if he's a closer, trying "to dominate every hitter, every pitch, every inning," the exec said. "And guys don't last who do that." 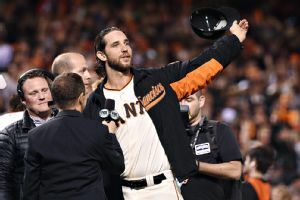 Kyle Terada/USA TODAY SportsClayton Kershaw may soon have three Cy Youngs, but Madison Bumgarner has already won three World Series titles with the Giants. The same exec also worries about the expectations heaped on Kershaw every time he goes out there, feeling the load of an environment where "162-and-0 is the expectation" for his team. That's a burden, the exec said, "that takes its toll on young pitchers." But Bumgarner, he said, was allowed to ease into being an ace, without those expectations. He also has a less stressful delivery, with "a tall back side and a low arm slot" that are likely to wear well. And when you combine that with an almost unflappable demeanor, "you say, 'This guy should last forever. ... He does it easy.'" Ah, but no one lasts forever, except maybe Mark Buehrle. And Bumgarner just heaped 42 2/3 extra postseason innings on top of 217 1/3 regular-season innings. So speculating on which guy is most likely to break down is a dangerous gig. And the Kershaw voters also remind us that their man "just has more out pitches," as another AL exec put it, "more weapons that I see as clear separators for continued dominance." So if this is a stuff-versus-stuff duel, it's hard not to take Kershaw. Except it's not. There's more to it. There's always more to it. "I'll be honest," said an NL scout who split his vote. "The guy I'd least want to face is Kershaw. He's so dominating, he's so prepared, he has such good stuff, if you're asking me which guy I don't want to face if I need to win Tuesday, I'd say Kershaw, because he just has better stuff than anyone. "But," the same scout went on, "if you add in that other element, that who-do-you-want-to-be-The-Man-in-October element, then right now there's no way I can say anybody but Bumgarner, because he was The Man." Oh yeah. He was The Man, all right. And he sure picked the right month to be The Man. But that brings us back to where we started. Should we be making this call based on how these two men have fared in October, when there are all those other months to consider? Well, that's the kind of thing WE do -- those of us on the outside. We make judgments, develop narratives, define legacies based on the biggest month of the year. And it's a month that's warping our view of Clayton Kershaw. But should it? His worst postseason moments have all come against one team, remember. So is it fair to base our perception of whether Clayton Kershaw can handle October on his troubles just against the Cardinals? "I don't think that's fair," said an NL exec. "There are so many factors. Maybe the Cardinals have something on him. It seems like it. But that's something we won't know until years go by." And in the meantime, we'll make our own judgments. Won't we? We'll look at Kershaw versus the Cardinals the way we look at Manning versus Brady, or Federer versus Nadal. And we'll never wonder how different their legacies might look if those men hadn't kept running into their Kryptonite, because they have. Constantly. "Reminds me of that old question, 'What would you take, a Milky Way Dark Chocolate or Reese's Peanut Butter Cup?'" said one AL exec, "I'll take both, thank you." 4 in 6 ??? I hope so. 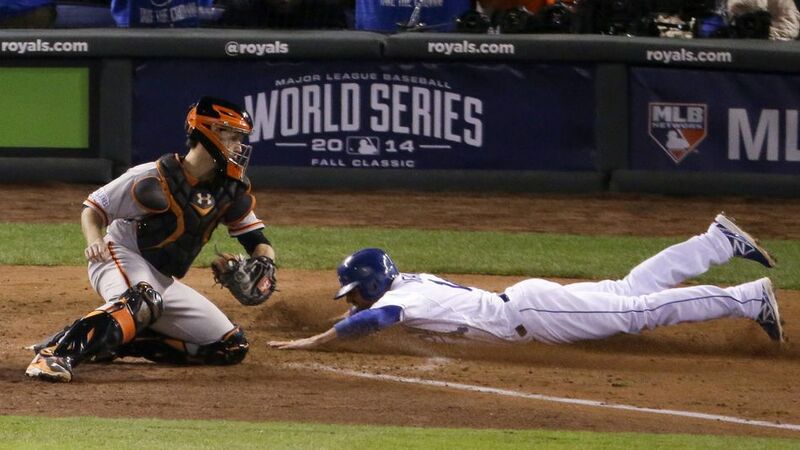 Also, Duffy is making a play for ROY. Don't sleep on him. Who woulda thought a no-name rookie would have made everyone forget Pablo Sandoval? Yeah where's a good Dodgers Stadium Boooo!! ...... like given to Clippers' players spotted in stands .... when you need it? I know we have at least one Giants fan (John) but I'm curious to something from their fan perspective. What did you guys think of the MadBum and Puig dustup? I personally thought it was extremely stupid of Bum to do it and instigate it. The Giants have been flailing and are going the wrong way out of the playoffs. They know they need to win with teams below them winning. Bum was dealing on the Dodgers and hadn't tossed 100 pitches yet. Puig hits a chopper runs it out and Bum basically stares at him until he (Puig) turns around and sees the stare down. I know they don't like each other and they may one day get into the baseball shoving match BUT what was Bum trying to do there? He may have cost the Giants a playoff spot. Maybe not they are the giants. Anyway, this isn't a troll question just curious what ya'll thought. I thought it was extremely stupid on his part. I would agree. Probably so would Draymond nut crusher Green. Madbum is very competitive, as I'm sure you know. Let his emotions get the best of him. Based on after game quotes, Bochey didn't like it and that's why he was taken out. Almost cost us the playoffs. Got in on day 162. Typical Giants. I watched every game this year. They're gonna give me a heart attack. MadBum: Greatest pitcher in playoff history. Yea I was pretty sure that one game cost them the playoff spot. I didn't get why he did it especially with the bullpen issues. Luckily my Dodgers laid a huge fricken egg and foolishly let them in. Like I said in the question SF has the pedigree and the know how to win it all. Today showed again, those boys can win in the playoffs. I'm sorry @John3:16 . I know you're a Giants fan. Ugly way to lose yesterday. I spent all season complaining about the Dodgers' approach and how the Giants went out and got the starting pitchers. I guess I was half wrong. The Giants needed a bullpen more than starters. I still think the Dodgers should have spent on Cueto though. Any how. See you guys next year. I'm seriously mourning this loss. A good friend is a Cubs fan and after the first hit in the 9th, I texted him and said congrats. I saw this too many times during the season to believe they'd win. We had almost 40 blown saves during the season. A playoff team with 40 blown saves !!!!! We need a closer in the worst way. I don't care how much they spend for one. A bat in the lineup wouldn't hurt either. When Brandon Belt leads your team in HRs with 17, you've got issues. I can't complain about the starting pitchers or the play of Conor Gillespie, who was amazing in the playoffs. Going forward, we have a lot of players at the end of their contracts that I never want to see back in SF, so we should have money to spend.